Can you give us some of the historical background to Middle East-China ties, or are the developing relationships a new phenomenon? The historical background is the old Silk Road and the trade routes between China and the Middle East that largely ran overland, but also overseas at some points—the old spice routes. The trade on the old Silk Road faded away around the 1600s, so the modern historical backdrop is very, very limited. It’s bad in the sense that clearly China has only just returned to the region, and I’d say that 2004 is probably a landmark year in which we really started to notice a sustained strengthening in relations between the two. It’s good, though, in the sense that China doesn’t have the historical baggage that the American and European powers have, either through being colonial occupiers in the case of Europe, or more recently through the support for specific states, such as Israel, as is the case with the Americans. When people hear about China-Middle East relations, most instantly think of oil—in 2009, China imported more oil from Saudi Arabia than the United States did. But what else is there to China’s economic relationship with the region? As far as China is concerned, the Middle East is a large and growing market. Clearly, it’s no substitute for Europe or the United States, but because of a historic high in oil prices, your average Arab consumer has a little bit more money to spend than they did in the past, and what they want to buy are cheap Chinese consumer goods. The Middle East also represents one of the world’s largest construction markets, and there are a growing number of projects. It’s not like what the Koreans did in the 1990s and the Japanese did in the 1980s—the Chinese are going in and bidding at very low rates, taking a share of that construction market away from their competitors. The Chinese construction companies are also often earning higher profit margins in the region than they would back home. I’d say that the reason it gets less focus than it would otherwise is that a lot of these transactions are taking place below the radar—a lot of them are taking place between traders and they may not even be taking place in English, so they don’t tend to be covered by the Financial Times or the Wall Street Journal. Also, some of these Chinese construction companies just aren’t well known. With ever-increasing economic ties and contact between the Middle East and China, can we expect to see China starting to weigh in on political issues in the region? China would be very reluctant. It has certainly watched Europe and the United States and it realises that it’s very difficult to weigh in usefully on these issues. So for the most part, for instance, Chinese journalists will only focus on the region’s economics rather than the region’s politics, although they certainly have given some commentary on recent events. They recognise that they have a modern historical advantage insofar as that they were neither colonisers nor seen to be supporting opponents of the Arab countries. That said, the caveat is that while China might not want to weigh in, the Middle East may ask it to weigh in. The Middle East doesn’t like its foreign powers sitting on the fence. For instance, were there to be conflict between Iran and Saudi Arabia, the two countries from which China imports almost 30 percent of its oil, it may be asked to take a position. It may refuse, and that refusal may disappoint both countries. Middle Eastern Sovereign Wealth Funds (SWFs), such as Abu Dhabi Investment Authority, Saudi Arabia Monetary Authority, and the Kuwait Investment Authority are some of the biggest in the world—what is their involvement in China? It’s relatively limited. For the most part they are, like any other asset manager, participating in Chinese stocks—particularly Chinese stocks listed in Hong Kong. To some extent, the Kuwait Investment Authority has been a strategic buyer of sizeable minority stakes in Chinese banks. 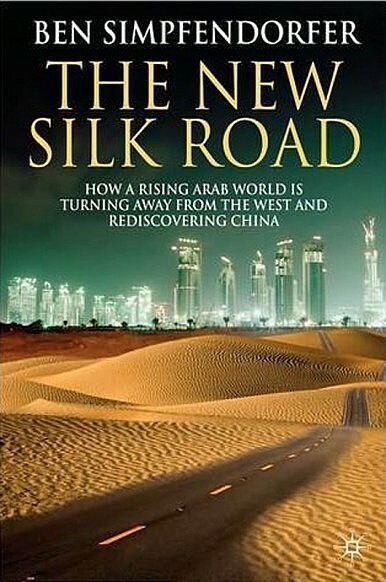 But do we see the Arab SWF’s making direct investments into China? No we don’t. In part, that’s because most foreign direct investment into China goes either into manufacturing or into the financial sector. The Middle East isn’t a big direct investor in manufacturing—it would prefer to buy majority stakes in established companies, and that’s not easy or cheap to do in China. Western countries often have a poor reputation in much of the Middle East. Broadly speaking, how is China perceived in the region—benevolent, a welcome alternative, or neo-colonialist? It’s welcomed. I say it’s welcomed because China is often seen as a bulwark and an alternative to the West, whether it’s as a source of oil demand, or whether it’s providing the opportunity for Arab traders to apply successfully for visas and visit the country—they clearly have much greater difficulty visiting Europe or the United States. The relationship will be a little more complex going forward, though. Clearly, recent events in the Middle East show that jobs are important—China, as the world’s largest manufacturer, is a very large source of jobs growth. The risk is that if some of that manufacturing isn’t outsourced to other parts of the world, and particularly the Middle East, China may be seen to be taking jobs from the region. We haven’t yet reached that stage, but it’s a risk. The last point is it’s certainly not seen as a neo-coloniser and that’s largely because Middle Eastern countries have very strict limits on the numbers of Chinese workers allowed to work on projects. Egypt, for instance, will only allow 10 percent of the total work force on any one project to be from a foreign country.